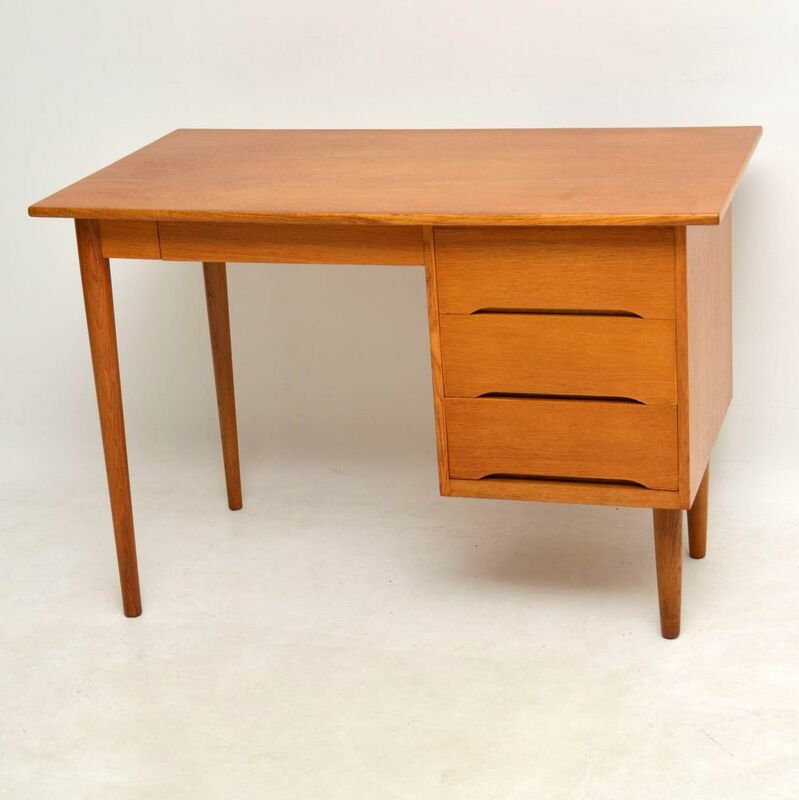 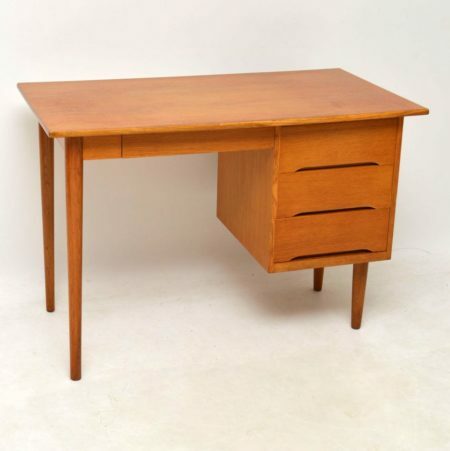 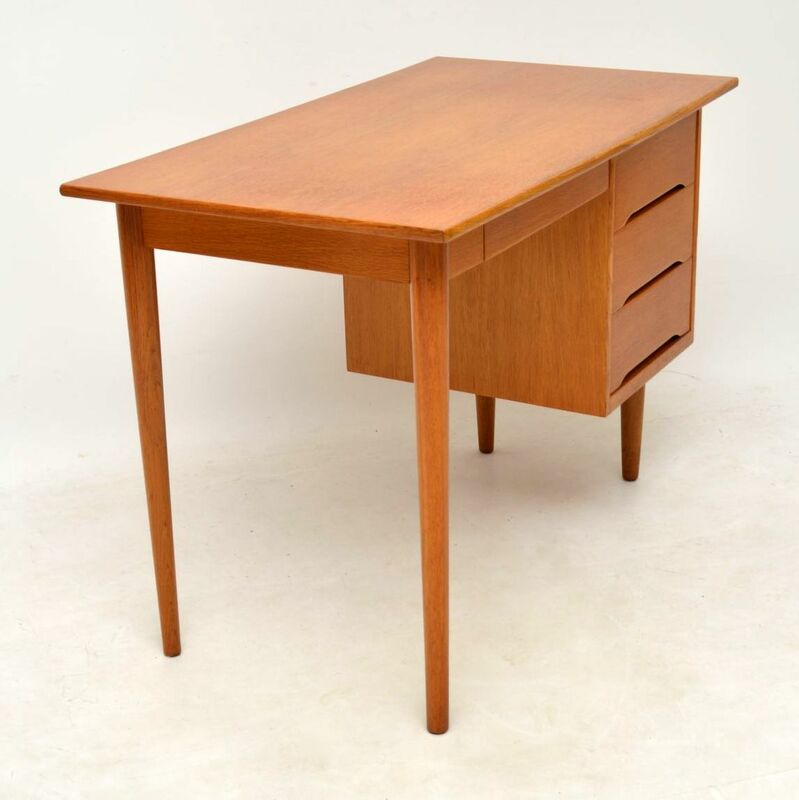 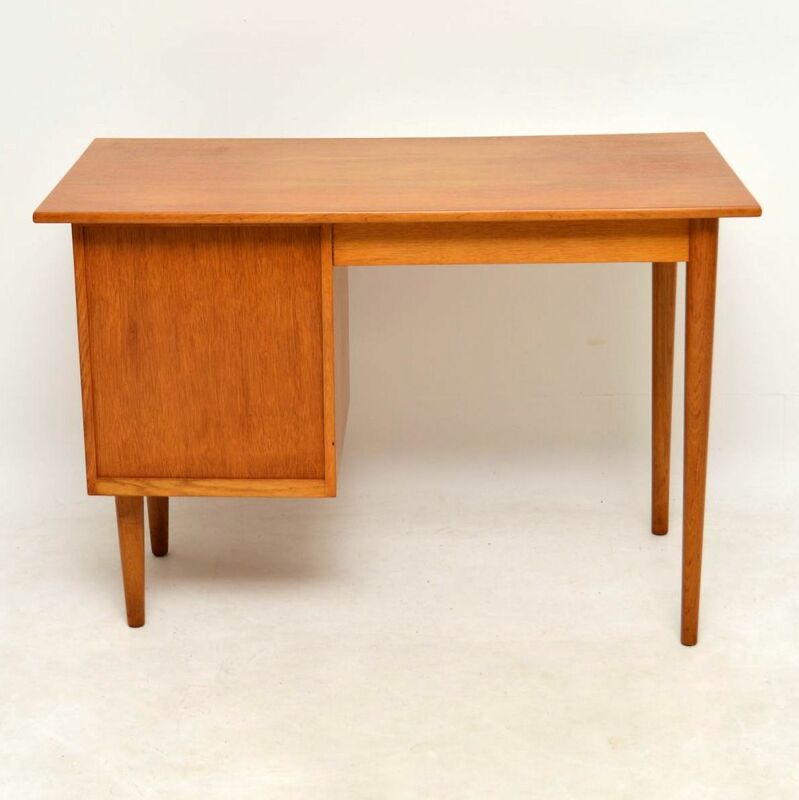 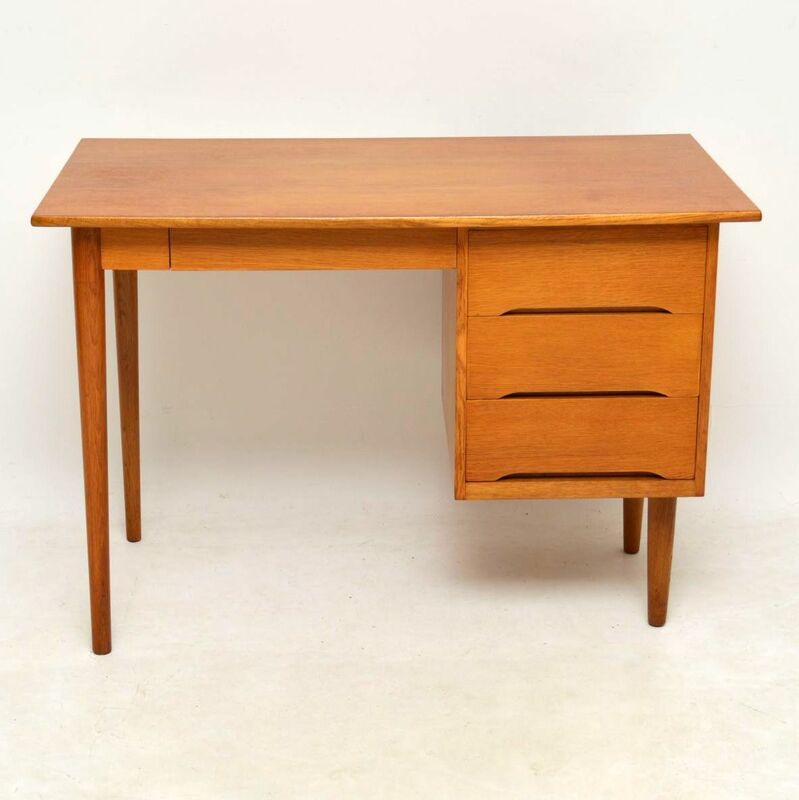 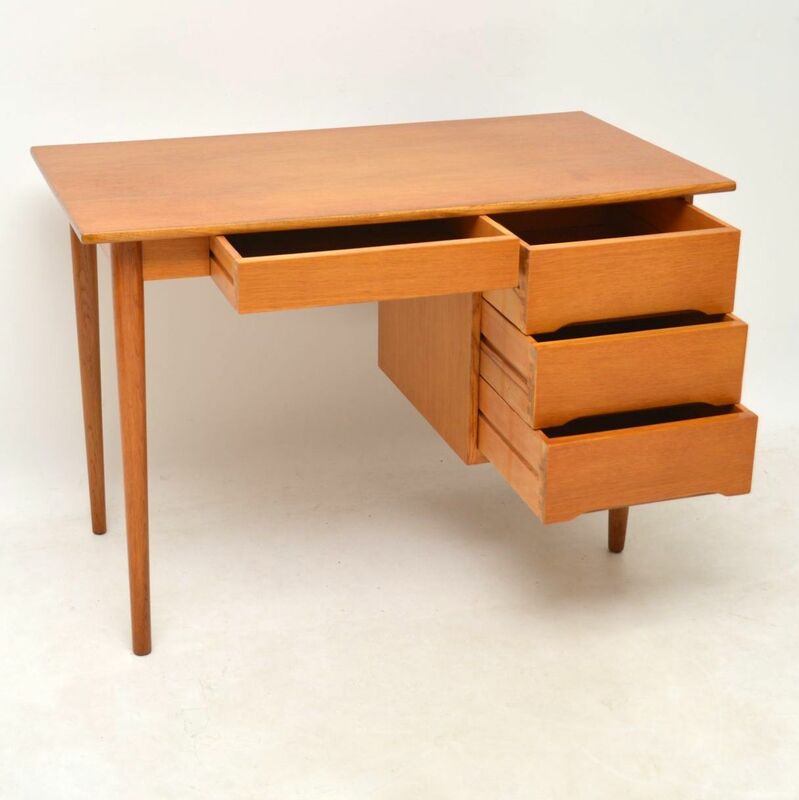 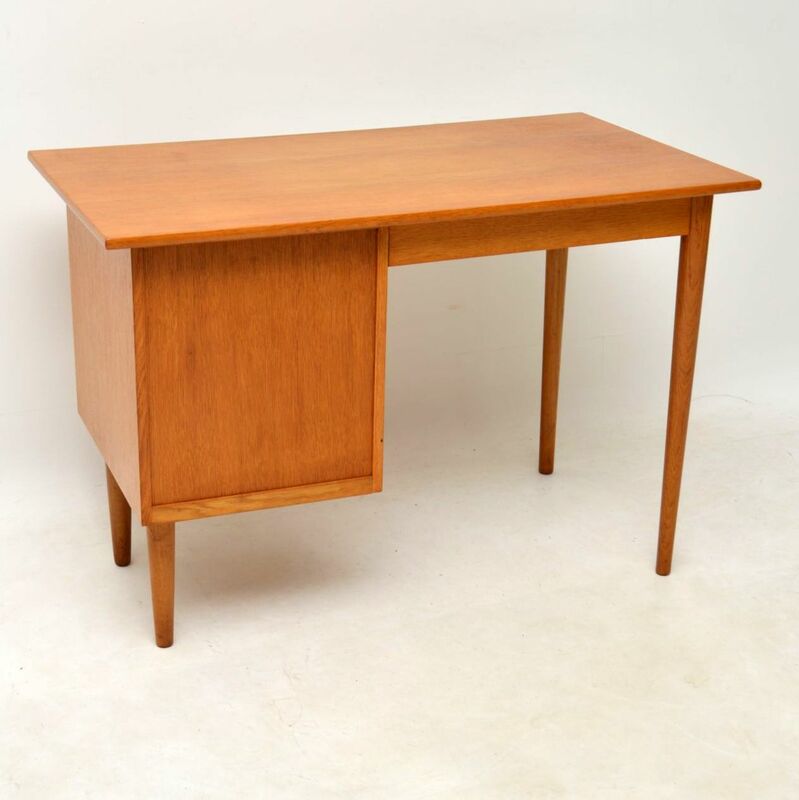 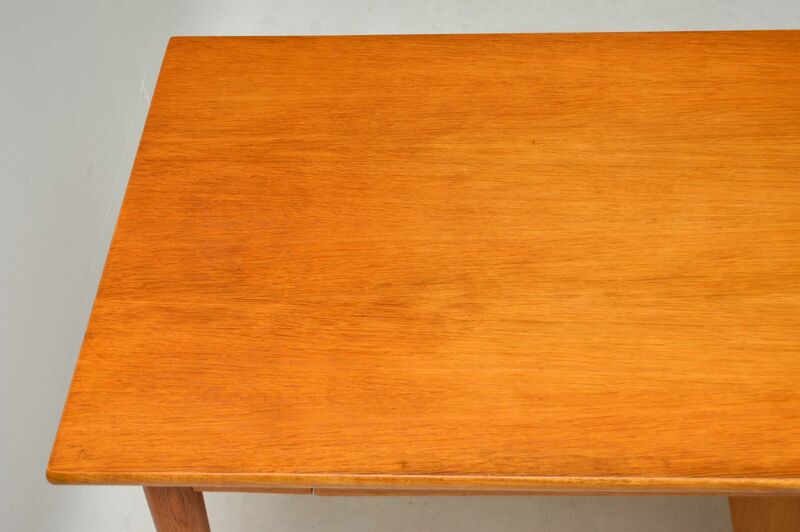 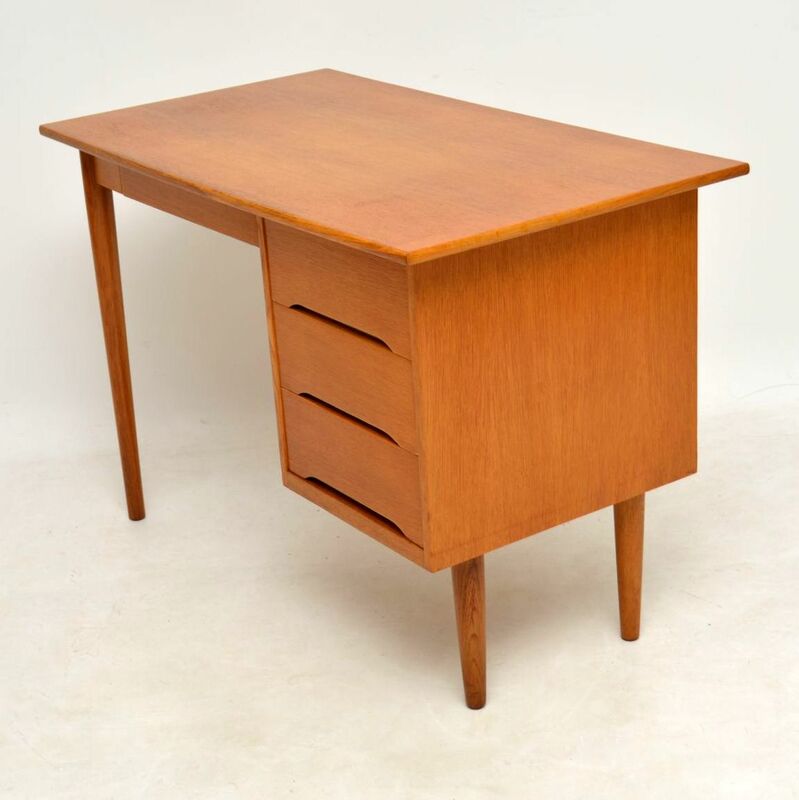 A smart and top quality vintage desk in Oak, this was made in Denmark and it dates from the 1950-60’s. 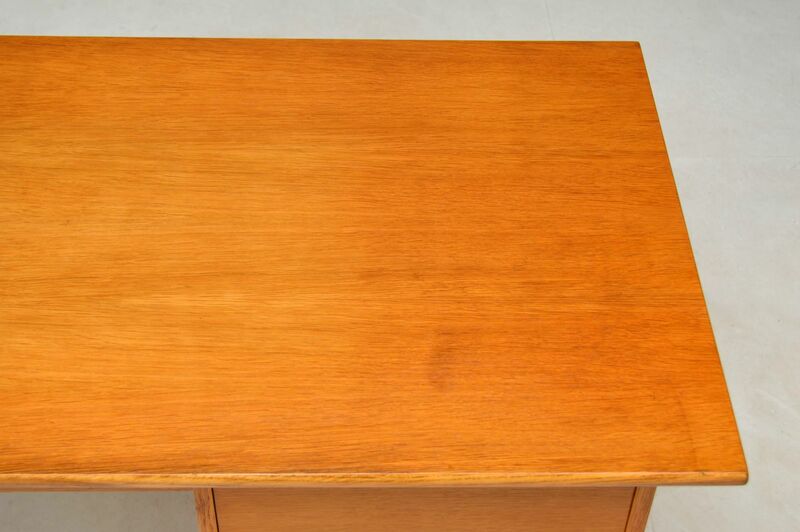 We have had this fully stripped and re-polished to a very high standard, the condition is superb throughout. 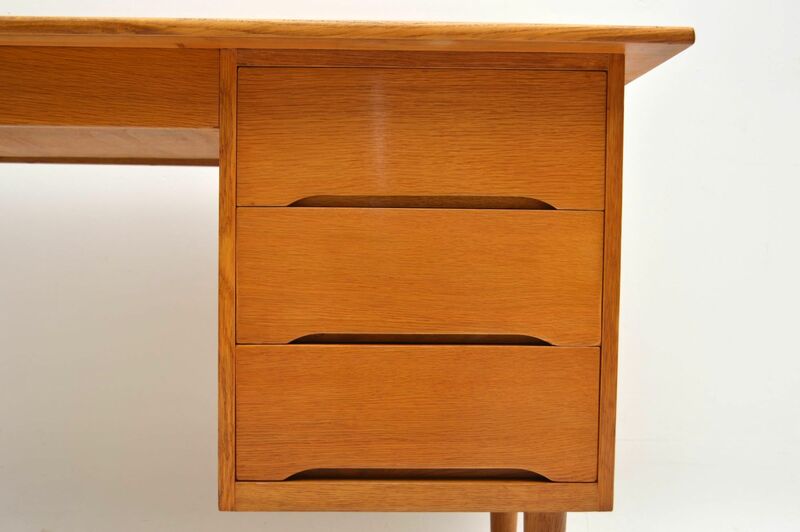 It is also nicely finished on the back so can be used as a free standing item.